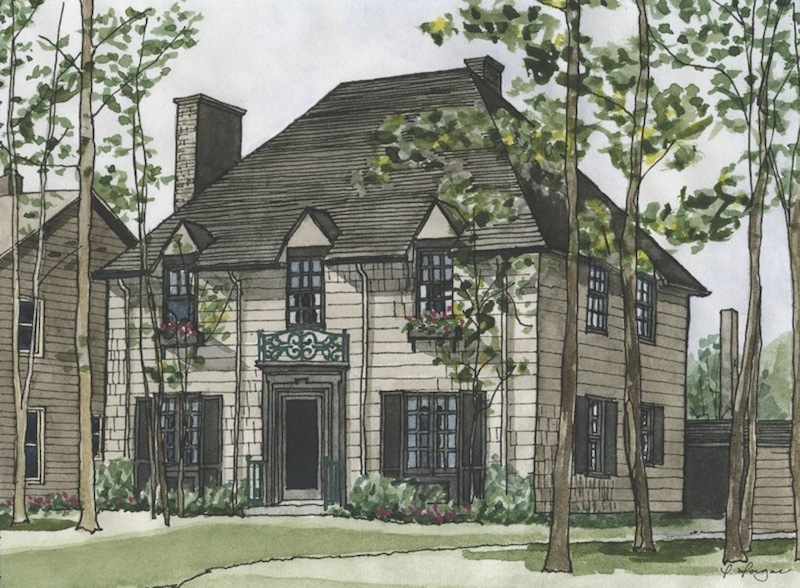 The design of at least 27 homes in Shaker Heights has been attributed to the architectural firm of Howell and Thomas, including the grouping of demonstration homes on Parkland Drive. 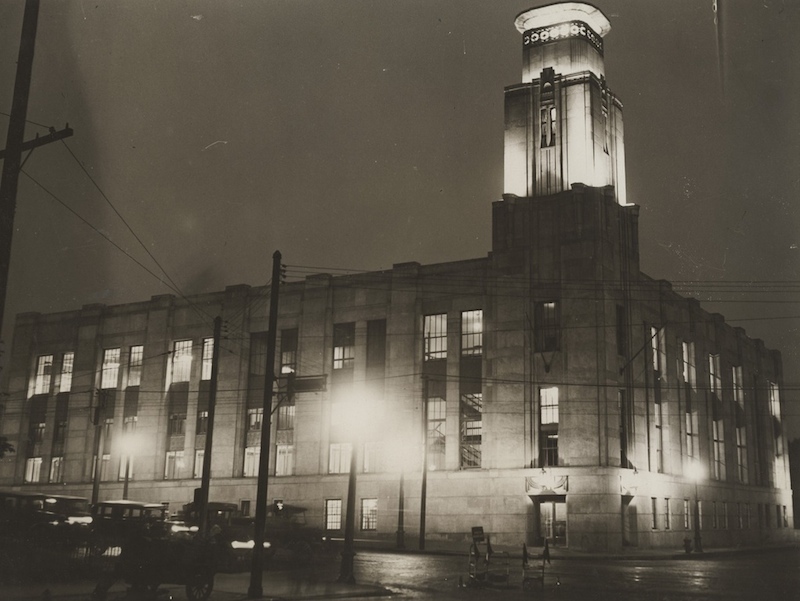 Formed in 1908 by Carl Howell and J. William Thomas, the Columbus-based business made its name designing Revival style homes. The firm specialized in residential architecture for upper-class clients. 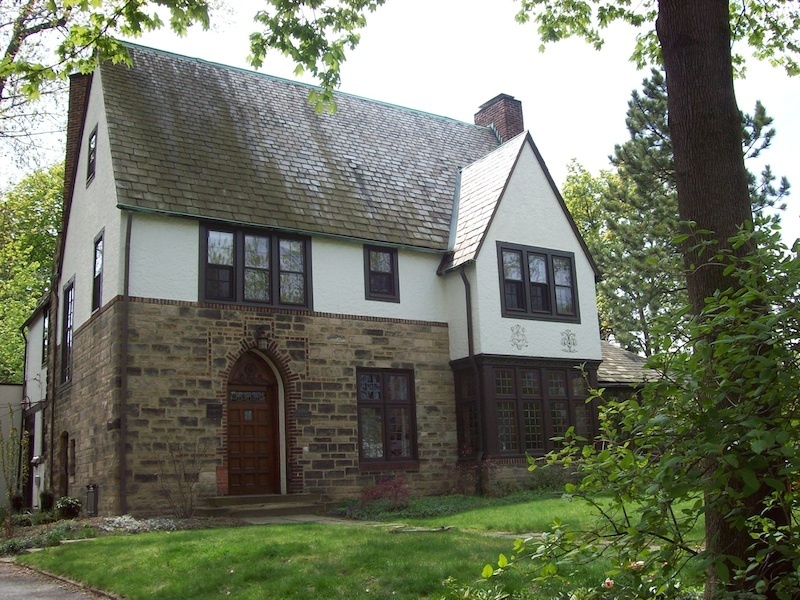 The architects were brought to Cleveland by 1913 to help design homes for real estate developer Barton R. Deming's garden city suburb, the Euclid Golf Allotment. 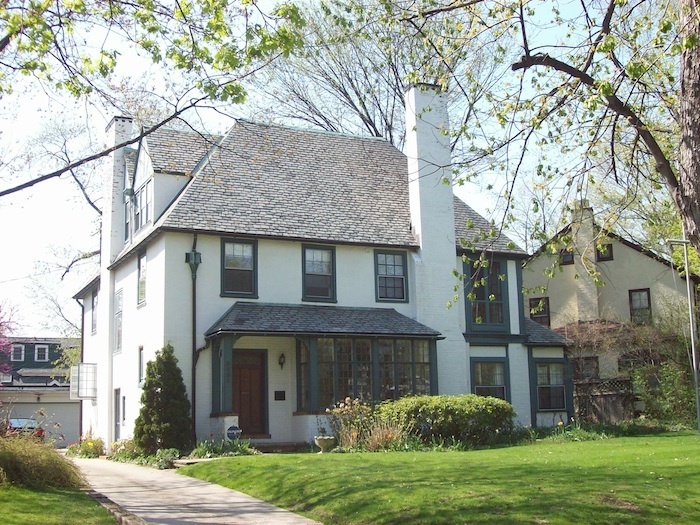 The firm relocated to Cleveland within five years and remained active in the construction of residences throughout Cleveland Heights. 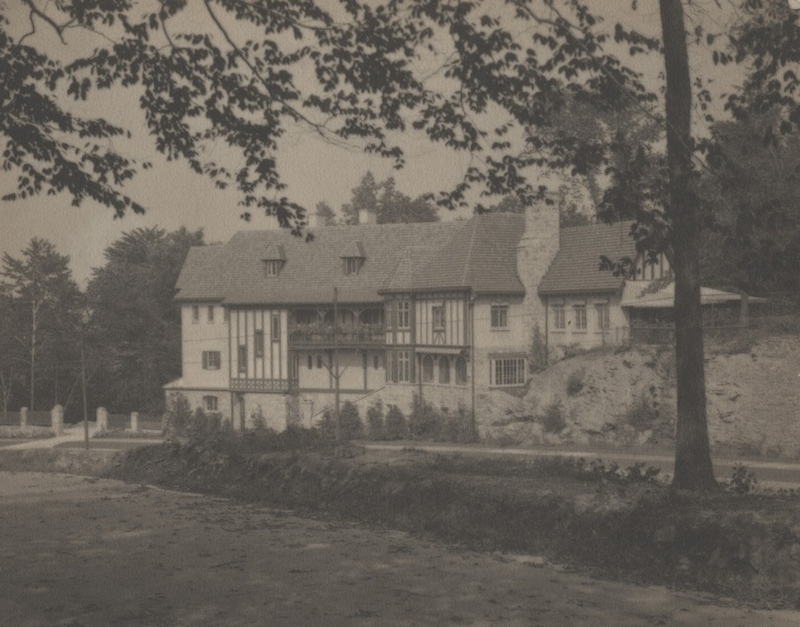 In 1922, the Van Sweringen Company retained the locally-renowned architectural firm to design four demonstration homes at Shaker and Courtland Boulevards. 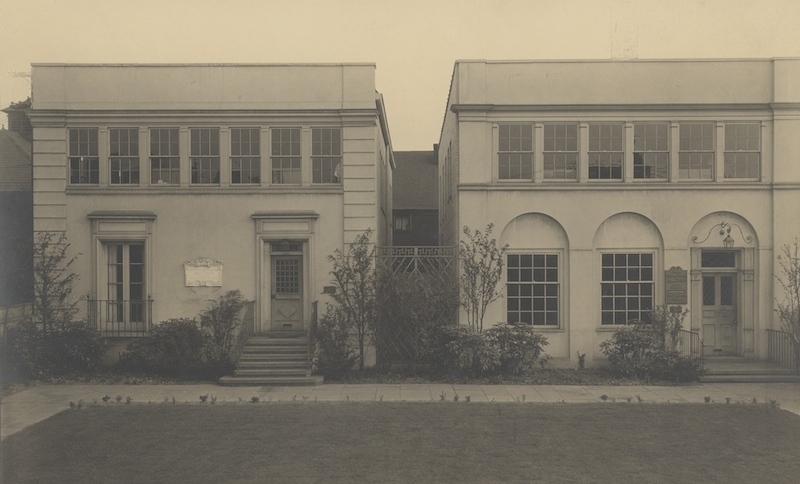 Their services were employed again in 1924 to design an additional seven demonstration homes at 3280 Maynard and 18414, 18428, 18500, 18524, 18560 and 18580 Parkland Drive. 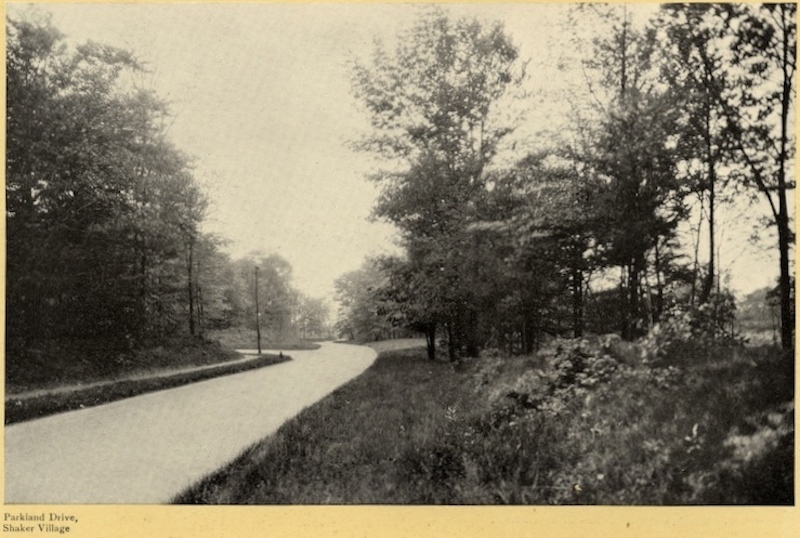 The Parkland Drive demonstration homes not only advertised the possibilities of the emerging suburb, but provided examples to potential home owners of the type and quality of home appropriate for Shaker Heights. Designated a Shaker Heights Landmark on June 27, 1983, the homes are reflective of the Van Sweringen Company's architectural standards as well as Howell and Thomas' mastery of the Revival styles. 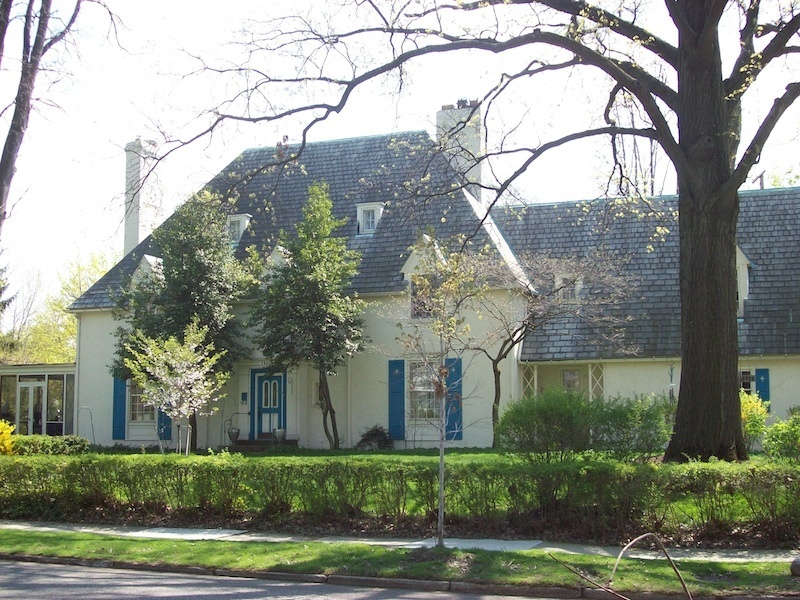 The designs of the demonstration homes incorporated various French and American regional styles in a manner that captured distinctive elements without displaying a strict adherence to form. In this way, the homes were constructed to complement the surrounding built and natural environment. For example, due to the narrowness of the rear lot of the demonstration home at 3280 Maynard, the floor plan of the residence steps back - a design feature that allowed for multiple attractive window exposures and an interior space flooded with natural light. Similarly, gutters, downspouts and decorative gutter boxes were fashioned in copper in order that they weather to a natural green and blend with their surroundings. The Parkland grouping was estimated to have cost the Van Sweringen Co. over $250,000. 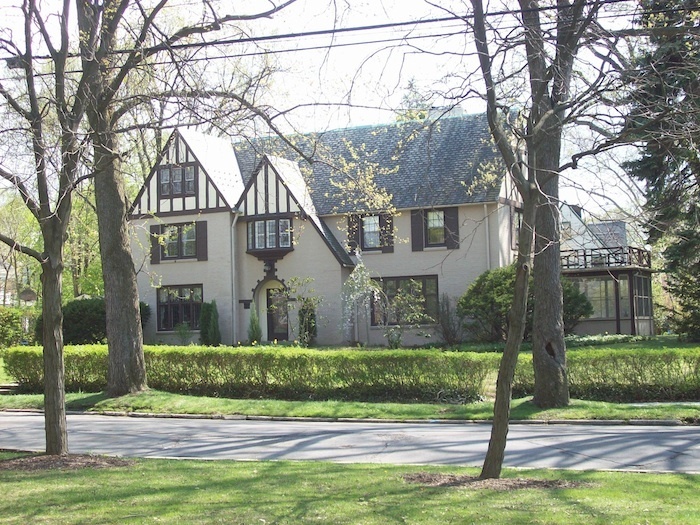 18500 Parkland Drive: The demonstration home located at 18500 Parkland Drive was built in 1924 and designated a landmark on June 27, 1983. Its design reflects characteristics of early English styles, including a steep roof and a picturesque stone facade. Image courtesy of City of Shaker Heights Planning Department. 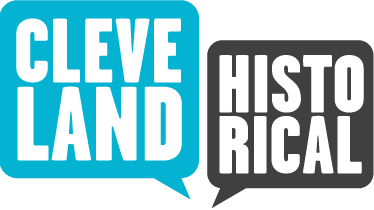 Richard Raponi, “Parkland Drive Demonstration Homes: Howell & Thomas,” Cleveland Historical, accessed April 19, 2019, https://clevelandhistorical.org/items/show/390. Published on Jan 11, 2012. Last updated on Apr 18, 2017.